Here it is — the smaller-than-a-Cayenne SUV from Porsche that everyone thought would be called the "Cajun." 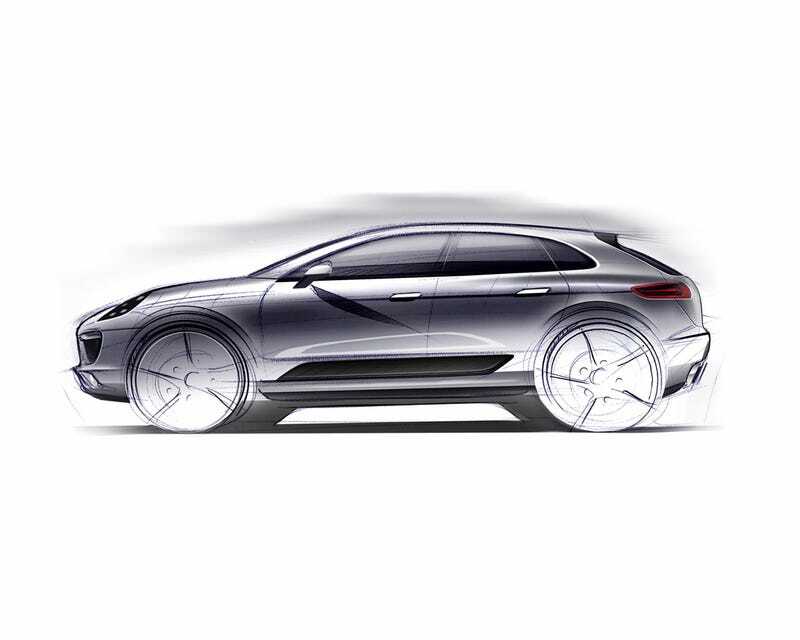 Except instead, it'll be called the Macan — derived from the Indonesian word for "tiger." Funny, doesn't look much like a tiger to us. The new small SUV from Porsche has just been teased in the below video ahead of what we'd expect would be a reveal next year. But that's just speculation. The Macan looks to be Porsche's answer to consumers who want a Porsche but they're a soccer mom who doesn't really like driving and she thinks the Cayenne is just too big and the Panamera looks to much like his 911. You know, because it's like a car or something. "As the fifth Porsche model line, the Macan is a central plank of Strategy 2018, by which the sports car manufacturer wishes to expand its model portfolio. Porsche intends the Macan to emulate the success of the Cayenne." Yup, sounds like a Cayenne for people who want something a touch smaller. Check out the teaser video over on the left side of the page.